Normally an article such as this would find its way onto Television Heaven or Teletronic - but I thought I'd use the Forum on this occasion to revisit some old friends from Milwaukee. 'Happy Days', of course, became an iconic American TV series which has left its mark on popular culture even today. 'The Simpsons' has made numerous offhand references to the series (both Ron Howard and Henry Winkler have "guest voiced"), as did the popular sitcom 'Friends' and in the UK, Citroën used the theme tune and characters (with some special effects) to advertise their C3 model as recently as In 2006. 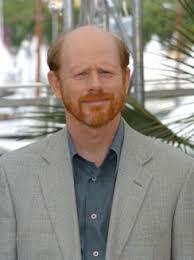 (Although the character of Richie was not present because Ron Howard would not give his approval). Not bad for a series that ended 24 years ago! Sadly, the series also gave us a quite derogatory term for the moment a television show has proved to have outstayed its welcome. The term "Jump the Shark" came about as the result of a 1977 episode in which Fonzie performs a water ski jump over a shark. Although this has often been cited as the point where the series passed its peak of quality and popularity it is fair the say that the series had a number of moments similar to this well before the infamous stunt. However, in spite of having the dubious honour of coining the phrase, the series continued for another seven seasons and even overcame the departure of its (original) leading character, Ritchie Cunningham and also produced several spin-off series; 'Laverne and Shirley', 'Blanksky's Beauties', 'Mork and Mindy', 'Out of the Blue' (arguably) and 'Joanie Loves Chachi'. Ron Howard appeared in the series as Ritchie Cunningham from 1974 to 1980 (although he returned for the occasional guest appearance). Ronald William Howard was born March 1st, 1954 and is an award-winning American actor and Academy Award-winning director and producer. Howard came to prominence in the 1960s as Andy Griffith's TV son, Opie Taylor, on 'The Andy Griffith Show' (credited as Ronny Howard). Since retiring from acting, he has directed several successful films including 'Apollo 13' and 'A Beautiful Mind'. 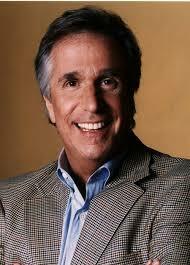 Henry Winkler is most famous for his role as Arthur "Fonzie" Fonzarelli. At the begining of the series he only had a minor role - by the end of it he was the character most associated with the show. His trademark "Aaayyyy!" accompanied by a thumbs-up was imitated just about everywhere 'Happy Days' was shown. Henry Franklin Winkler was born October 30th, 1945 and is a Golden Globe Award-winning American actor, director, producer, and author. Winkler started acting by appearing in a number of television commercials before being cast in the series in October 1973. Since 2003, Winkler has collaborated with Lin Oliver on a series of children's books about a 4th grade boy, Hank Zipzer, who has dyslexia. Winkler also has the learning disability, and said this was a painful part of his childhood. Winkler has published 14 books about his hero Zipzer, the "world's greatest underachiever." 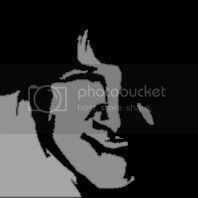 He appeared in his first pantomime at the New Wimbledon Theatre, London in 2006, playing Captain Hook in 'Peter Pan'. He reprised the role in Woking, England for Christmas 2007. Tom Bosley is best known as Howard Cunningham, Richie and Joanie Cunningham's father and is also known for portraying Sheriff Amos Tupper on 'Murder, She Wrote'. He also portrayed the titular Father Frank Dowling on the TV mystery series, 'Father Dowling Mysteries'. Thomas Edward Bosley was born October 1st, 1927 in Chicago, Illinois, and is an Emmy-nominated and Tony Award winning American actor. Also notable as a voice actor due to his resonant, fatherly yet expressive tone, Bosley hosted 'The General Mills Radio Adventure Theater', a 1977 radio drama series for children. He went on to voice many memorable animated cartoon characters, including Harry Boyle in the animated series, 'Wait Till Your Father Gets Home'. His first motion picture role was in 1963, as the would-be suitor of Natalie Wood in 'Love with the Proper Stranger'. Other films include 'Divorce American Style' and 'The Triangle Factory Fire Scandal'. Bosley shared a heartfelt story about his experience with the Holocaust in the documentary film 'Paper Clips'. In 2008, Bosley is due to star in the television drama 'Charlie & Me' - he was in the movie released earlier this year. 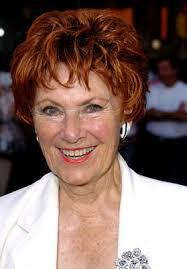 Marion Ross is best known as Marion Cunningham (Mrs. C). Born Marian Ross on October 25th, 1928, in Albert Lea, Minnesota she changed the spelling of her name from "Marian" to "Marion" at the age of 13 because she thought it would look better on a marquee. Her career on television began in 1953, when she played the Irish maid on the series 'Life With Father' for two years. Her list of credits spans the history of classic TV, from 'The George Burns and Gracie Allen Show', 'The Brady Bunch', 'Love Boat' and 'Night Court'. She also did voiceovers for Grandma SquarePants on the animated series 'SpongeBob SquarePants'. Ross lives in Los Angeles, California with actor Paul Michael. Her two adult children also work in entertainment: Jim Meskimen's credits include 'How the Grinch Stole Christmas', and Ellen Plummer was a writer/producer on 'Friends'. Marion Ross is currently starring in the new super hero movie spoof-aptly titled 'Superhero Movie'. Erin Moran played Joanie Cunninghan. 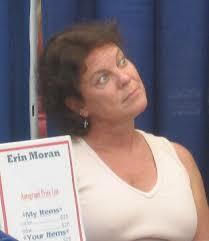 Born Erin Marie Moran on October 18th, 1960, Moran was born and raised in North Hollywood, California, the fifth of six children in a strict Catholic family. Her parents were so strict that on the 'Howard Stern Show' she said that she had been beaten with a belt for going "trick or treating." At the age of six, Moran appeared in her first commercial. Moran was cast as Jenny Jones in the television series 'Daktari' which ran from 1966 to 1969. In 1968, she made her feature-film debut in 'How Sweet It Is?' with Debbie Reynolds. In 1974, Moran was cast to play her most famous role, Joanie Cunningham, the feisty younger sister of Richie Cunningham. She continued the role in 1982 in the short-lived series 'Joanie Loves Chachi' starring Moran and Scott Baio. After the show’s cancellation in 1983, she returned to 'Happy Days' for its final season. Moran has made several other television guest appearances including 'Love Boat', 'Murder She Wrote', and 'Diagnosis Murder'. In 2008, she became a contestant on VH1's reality show 'Celebrity Fit Club'. She currently has three projects in production due for release in 2008. Donny Most was born August 8th, 1953, in Brooklyn, New York City and was best known for his role as Ralph Malph. His film credits include 'EDtv' (1999) and 'Planting Melvin' (2005). He also made guest appearances on many TV shows, including 'CHiPs', 'The Love Boat', 'Sliders', 'Star Trek: Voyager' and 'Sabrina, The Teenage Witch'. He is now known professionally as Don Most. Don is married to actress Morgan Hart. He has two daughters and lives near Los Angeles. It was discussed that he and Anson Williams would have their own spin-off show centring on their 'Happy Days' characters Ralph and Potsie, but it never materialized. Anson Williams was born September 25th, 1949 and is an actor and director. 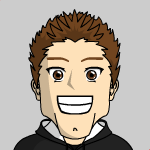 Born as Anson William Heimlick - he is best known for his role as gullible but well-intentioned singer Warren "Potsie" Weber. His character was one of the few to remain through the entire run of the series, although his appearances became less frequent in later seasons. In 1986, Williams directed the ABC after-school special 'The Drug Knot'. This dealt with the problem of teenage drug abuse and was highly acclaimed. Many critics praised it as the best anti-drug show ever made. He has gone on to direct many episodes of popular television shows, including episodes of 'Beverly Hills 90210', 'Melrose Place', 'seaQuest DSV', 'Star Trek Deep Space Nine', 'Star Trek Voyager', 'Xena: Warrior Princess', 'Hercules: The Legendary Journeys', 'Sabrina the Teenage Witch' and 'Charmed'. He guest starred as himself in an episode of 'Boy Meets World' in its third season as a nod to 'Happy Days' and also guest starred on 'Sabrina', which he was also directing at the time, reprising the role of Potsie in a fantasy sequence. Anson Williams is the second cousin of Dr. Henry Heimlich, known for the Heimlich Maneuver for treating choking victims. Al Molinaro was born June 24th, 1919, and is an actor in television and films, most notably as Al Delvecchio, the owner of Arnold's on 'Happy Days' and its spin-off show 'Joanie Loves Chachi', Murray the Cop on 'The Odd Couple' television series, as well as starring in many commercials for On-Cor frozen dinners. He also starred in a short-lived 1982 situation comedy called 'The Ugily Family', about an unsightly Italian family whose last name is constantly mispronounced as "ugly". Molinaro was born in Kenosha, Wisconsin and was one of ten children in his family. His love of his hometown has long been evident, and was quoted as saying about it, "I love that town; I love it. If it wasn't that I left it for show business, I'd still be there today." Al also appeared in Weezer's music video for "Buddy Holly", which was set in Arnold's diner. He introduces the band as "Kenosha, Wisconsin's own Weezer". In 1987, Molinaro and fellow 'Happy Days' cast member Anson Williams opened a chain of diner restaurants called Big Al's. He did not appear in the 2005 'Happy Days Reunion' which aired on ABC. Al Molinaro is married and has one son. 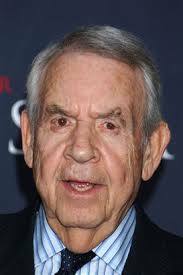 He currently lives in Glendale, California, and at the grand old age of 89 is retired from acting. Pat Morita was born Noriyuki Morita on June 28th, 1932 and was an American actor who was well-known for playing the roles of Arnold on the TV show 'Happy Days' and Mr. Miyagi in the 'Karate Kid' movie series, for which he was nominated for the Academy Award for Best Supporting Actor in 1984. Morita was born in Isleton, California, to Japanese immigrants; his father was a farmer and owned a restaurant. Morita developed spinal tuberculosis at age two and spent the bulk of the next nine years in Northern California hospitals. He was for long periods wrapped in a full body cast and was told he would never walk. Often alone and isolated, young Morita made sock puppets to entertain himself. His first movie role was as a stereotypical henchman in 'Thoroughly Modern Millie' (1967). Later, he landed a recurring role as South Korean Army Captain Sam Pak on the sitcom 'M*A*S*H'. 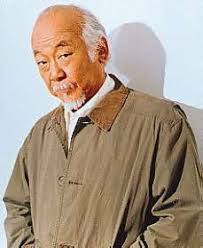 After the first season of 'Happy Days' he left to star as inventor Taro Takahashi in his own show, 'Mr. T and Tina', the first Asian American sitcom on network TV. The sitcom was cancelled after a month. One of Morita's last TV roles was as Master Udon on the 'SpongeBob SquarePants' episode, 'Karate Island'. The episode was dedicated to him after he died (November 24th, 2005) about six months after the episode's first run. 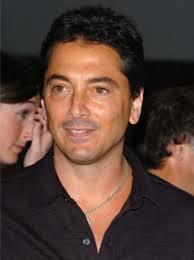 Scott Baio was born Scott Vincent James Baio on September 22nd, 1961. In 1976, Baio played the title character 'Bugsy Malone' in the cult kiddie gangster musical directed by Alan Parker, which also co-starred Jodie Foster. When he was 16, Scott was then cast as The Fonz's cousin, Chachi Arcola, on 'Happy Days'. 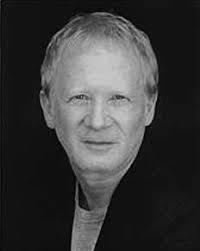 During his 'Happy Days' run, Baio earned two Emmy Award nominations for his lead performances in the TV movies 'Stoned' (1981) and 'All The Kids Do It' (1985). He also won two Young Artists Awards during the Third Annual Youth in Film Awards (1980-1981) as Best Young Actor in a Television Special for 'Stoned' and Best Young Comedian in Television or Motion Pictures for 'Happy Days'. He also starred in the made-for-television youth drama specials 'The Boy Who Drank Too Much' with Lance Kerwin and 'Senior Trip' with Mickey Rooney. In 1982, Baio starred in a spin-off of 'Happy Days' entitled 'Joanie Loves Chachi' with Erin Moran, which lasted one season. He recently appeared in his own VH1 reality series titled 'Scott Baio Is 45...and Single' followed by 'Scott Baio Is 46...and Pregnant'. When "Happy Days" premiered, ABC was still a poor third in prime time to CBS and NBC. Despite marginal ratings after a strong debut, "Happy Days" survived because Henry Winkler's character of Fonzie soon became an increasingly popular fan favorite. That fact allowed "Happy Days" to stay on the air (coupled with the fact ABC simply didn't have anything on its shelves to replace it). When former CBS entertainment chief Fred Silverman moved to ABC in 1975, he pushed Marshall to make the Fonzie character more prominent. Marshall sped up the process by having Fonzie live in the converted apartment above the Cunningham family garage, giving the Fonz a plausible base to interact with the Cunninghams and the other cast members every week. By the 1975-76 season, "Happy Days" was the 11th most popular series on television and ABC leaped over NBC to become the number two network. A year later, "Happy Days" knocked "All In The Family" off its perch as America's top series, and ABC was the new #1 network. Plus, spin-off "Laverne & Shirley" was second in the ratings to "Happy Days." The show may have spawned the "Jump the Shark" phrase, but it made a star out of Henry Winkler, made a fortune for Gary Marshall and helped turn around a television network. All in all, a job well done.